Apple on Wednesday announced one of the largest corporate spending plans since President Donald Trump signed the Republican tax reform bill, and pledged to open a second domestic campus, make a $38 billion payment on its overseas cash holdings, and give $2,500 in stock awards to some of its employees. The iPhone-maker announced a five-year investment plan, which, combined with its tax payments, will equal $350 billion in total spending within the United States. Worth $750 billion, Apple is the most valuable company in the world. The spending plan is expected to generate 20,000 jobs, however, the location of its second campus has not yet been announced. According to provisions in the new tax law, companies are required to pay a one-time tax on foreign-held income—regardless of whether they choose to bring that money back to the United States or not. Apple plans on bringing back a significant portion of its $252.3 billion cash stockpile, according to a Reuters report Wednesday. Employees below the director level are eligible for the bonus stock payment, although the bonus is expected to reach most. Apple currently employs over 120,000 Americans. The average Apple salary is $101,000, according to third-party estimates. 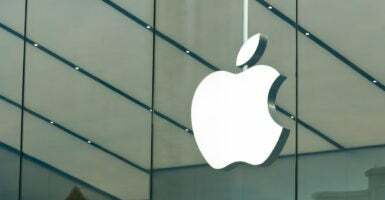 Apple joins a growing number of other American companies, including AT&T Inc., Comcast Corp., JetBlue Airways Corp., and Wal-Mart Stores Inc., offering generous bonuses and raises to its employees following the passage of the tax law.